Old fan-favourite Yorkhill has been declared to make his return from a lengthy absence in the Suit Valley Chase at Clonmel on Tuesday, as Willie Mullins readies and prepares his assaults on the Spring Festivals. As good as it is to see him back, the two-time Cheltenham Festival winner appears to have completely lost his way since triumphing in the 2017 JLT Novices Chase. 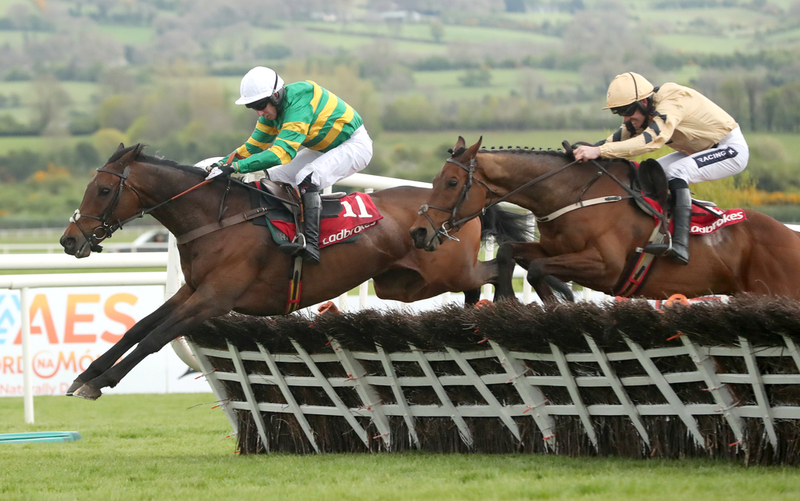 The nine-year-old - who also landed the Ballymore Novices Hurdle when it was known as the Neptune back in 2016, failed to threaten in six contests in an undecided campaign in 2018, which saw him chop and change between fences and hurdles. A four-time Grade One winner arrives at Clonmel with plenty to prove to his trainer and connections that need something to cheer about - following the unfortunate circumstances with Ballyward and Invitation Only at the Festival. (Credit: Racing Post) Willie Mullins said: "We were keen to get Yorkhill back out and we said we would start him off low-key so that is why we have come to Clonmel, although it is a hot little race. "If he is to go to the spring festivals, and Aintree would be ideal going left-handed, then we really need to get a run into him first. It is good to have him back. "He is going nicely at home but he needs to go out there and show us what he is made of." Yorkhill will also be going right-handed for the first time over fences since throwing away the Ryanair Gold Cup at Fairyhouse two years ago, a direction he has always seemed to have encountered trouble. Mullins trains half of the six-runner field in the Suit Valley Chase, and admitted that it is not only Yorkhill bidding to start a clean slate, but likewise for Acapella Bourgeois and Polidam both on retrieval assignments. Mullins said: "I thought Acapella ran well for a long time at Cheltenham in the Martin Pipe and I'm beginning to think that racing will suit him better than training. "Polidam was a big disappointment at Cheltenham and he needs to show us something if he is to go to Aintree for the Grand National." Mullins also has one-time Supreme Novices' Hurdle favourite Annamix; which is owned by Rich Ricci to look forward to on the seven-race card. The six-year-old has only been seen once in Britain or Ireland, having made his debut at Limerick in December, where the grey finished a promising second to Jessica Harrington's Press Conference. That was his first career start in over two years, and will look to get off the mark for Ireland's Champion Trainer in the two mile maiden at 2:20, in a race containing seventeen other hopefuls.